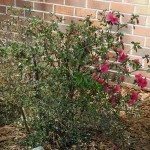 How to Help an Azalea That Has Branches Dying Each Year? How can I help my dying azalea other than removing the ivy that is growing all around and up it? It is hard to say as I am not sure of the symptoms, but in general, you can make sure you are fertilizing in and giving it adequate water. Treating it with a pesticide and fungicide will not hurt it and will help eliminate any pests or fungus that may be on the plant. I would recommend neem oil for this, as it is both a pesticide and a fungicide.